I need to be more productive when it comes to my research. I look at some of my peers and wonder how they can produce so much quality science — all while writing grant proposals, mentoring students, teaching classes, building/maintaining labs, reviewing papers, going to conferences, serving on committees, attending workshops, interacting with sponsors, writing other papers, and much more. I’m always on the lookout for ways to improve my productivity as a researcher. The thoughts here are specific to my job, but I hope it’s relevant and useful to students, post-docs, and other researchers in government or industry. There are definitely some technology-related ideas in here, but this isn’t meant to be a list of the latest gizmos, gadgets, or web apps; nor is it a summary of how the internet will revolutionize science. There are a gazillion web posts out there focused on that stuff — I’m interested in approaches and tools that can help me be productive in my work whether they are digital or analog, collaborative or solitary. I’m interested in the end, not the means. If there’s one thing I’ve learned in the past decade of doing this it’s to write everything down. I have at least two notebooks with me at all times that I use to capture random ideas, questions, to-do lists, or other thoughts related to my work. During grad school several years ago I started to carry around a spiral notebook. Over the years I’ve grown to love the minimalist design of Moleskine notebooks. These are popular for a reason, they are a quality product. I even like how the paper feels. I can easily carry one of these around almost anywhere I go and when I fill one up it is archived on the bookcase in my office. 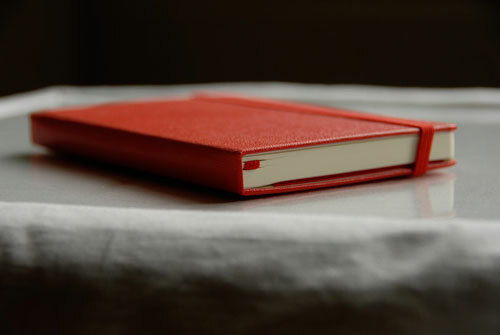 But it need not be a fancy-schmancy hard-cover book, great ideas can be written down in a $2 notebook as well. Writing things down isn’t merely a reminder. The act of writing (or speaking, teaching, sketching, etc.) forces you to formalize thoughts. I’m sure you’ve had that experience where you think you know how to describe the research problem you are working on, but when the time comes to put it into words you realize how nebulous that thought was. Even if you never go back and read what you wrote in that notebook, you’ve likely helped solidify an idea. Right now I have several manuscripts/proposals in the ‘in preparation’ stage, occupying various positions along a continuum between vague idea and ready-to-submit. I mostly use Microsoft Word to write. Yes, I realize that Word has issues and I realize there are other word processing methods (e.g., LaTeX) out there that people will argue are far superior. I realize it’s not techie-fashionable to use Word. Whatever. Word is what I know and, more importantly, what the vast majority of my collaborators use. The ‘track changes’ feature on Word works pretty well when there are three or more authors. I’ve tried to use GoogleDocs for collaborating a few times but have found it clunky. When it comes down to getting a paper or proposal done it’s a waste of time to try and convince five co-authors that they need to sign up for some web app or get some software that promises to change the way we collaborate. But, I am open to new ideas and always like to hear how others write collaboratively. A lot of my work involves creating figures that combine various types of data to be used in talks and publications. I use Adobe Illustrator to integrate images, line art, and text annotation into a single illustration. I’m certainly no artist, but can now create diagrams with Illustrator’s drafting functionality with some efficiency (example below from a paper I published a few years ago). For graphs/plots I typically use Excel and then make them ‘pretty’ in Illustrator. This is a waste of my time so I’m in the process of learning how to make graphs/plots in the statistical package R and matplotlib in Python. I’m still a newbie when it comes to these code-driven tools, but the little I know motivates me to get better. Never stop learning. So there is always a lot of reading to be done. Nowadays, I do nearly all my literature reading and paper reviewing on my iPad. I print papers out every once in a while, but I’d say that >80% of my reading is digital now. There are a bunch of iPad apps out there these days, but I use the iAnnotate app. It syncs up with Dropbox and has easy-to-use markup tools. I especially like the zoom-in text annotation feature that shrinks the stubby text that results from finger/stylus writing down to fit into the small margins of modern PDFs. At some point in the past year Dropbox transitioned from convenient to necessary. I have shared folders with several collaborators and with my graduate students. E-mail remains the primary means of communication, but now it’s to say ‘I added a revised version of the proposal’ or ‘Check out the new paper by so-and-so’ in Dropbox instead of attaching the file to the email. I don’t have to search my email for that attachment if I forgot or didn’t take the time to download it and put somewhere. The other tool that is quite useful is the telephone! E-mail is great for keeping correspondence documented and laying out specific tasks and such, but there are times where picking up the phone and talking to a collaborator is far more productive. I’m also realizing how valuable a short trip to visit with collaborators can be. I recently spent three days with two collaborators where we essentially sequestered ourselves in a room and worked like maniacs to finish up a proposal. We got more accomplished in that focused three days of work than the previous nine months combined. I’m one of those people for which significant productivity comes in short spurts. I’ll toil for several hours (even days) on some text for a paper or proposal and then, all of the sudden, I’ll produce a few pages of words I’m quite happy with in less than an hour. Or, at longer time scales, I’ll have a string of 3 to 4 days where I make tangible progress within a couple weeks of effort. I’ve learned to recognize when this is happening and try to take advantage of it. Like a surfer waiting for that perfect wave, sometimes I just need to spend some time paddling around out there waiting for it. When I was in grad school this productivity wave came in the evening or late night. Nowadays, it tends to come in the early morning. Whenever the wave comes, learn to recognize it and ride it. I’ve also learned to that if I’m not being productive with one task that I might as well make progress on something else (productive procrastination?). For example, if I’m trying to get some writing done and the words are just not flowing, I’ll spend that time working on drafting a figure instead. However, it’s easy to fall into a trap of jumping from one thing to another and not getting much of anything accomplished. Thus, there are times when I do force myself to work on a task that is screaming for attention. I’m constantly on the lookout for interesting ideas from others about how they maximize their productivity. This may be from collaborators, peers in my field, researchers in different disciplines, mentors, or students. I’m willing to learn from everyone. I don’t think any one person has the ultimate recipe, so I try to collect ideas from all sorts of people. Some work out, some don’t — just keep trying things. Writing this post is, in fact, a way for me to see what others are doing. Please add your thoughts about what works or doesn’t work for you in the comment thread. NOTE: Because I mention specific products in this post I may attract those who want me to mention their product on this blog. This is not going to happen. I will not reply to any email inquiring about a ‘guest post’, review, or other such thing. I encourage people to leave comments with information/advice about tools they use, but if the comment is an advertisement I will delete it. Great post! I have also found that continual productivity is a battle. I don’t know how others do it, but I know that I cannot. Strategies like the ones that you propose are the only way I’ll ever get my PhD done. One of my favourites is daily to-do lists. I write them using the note app that came with my computer and have one for weekly goals and one for daily goals. I try to keep the daily list under 10 things. If it gets too long it is impossible to finish and therefore too easy to give up on. 1. The Sprint: If I’m really struggling to get something – anything! – done, then I’ll set a timer on my phone to 15 minutes and then go heads-down until the alarm goes off. Usually that’s enough to get enough focus that I don’t need to do another sprint, but if I’m still having difficulty I give myself a moment off, maybe get up, stretch, whatever, then put the timer on again. Four of those is an hour of solid focus, which usually means I get quite a bit done! 3. Livescribe Pen: I was bought a Livescribe Echo pen nearly two years ago, and I wouldn’t be without it. I carry a Livescribe notebook everywhere, as you do, but my pen records everything I write, which I can then upload to my computer so that all my notes are there. I can do handwriting recognition on my notes if I want to, so any text can become editable if I wish. And it plugs into Evernote, although I’ve not got my head round Evernote properly yet. Although the notebooks aren’t quite as nice as Moleskines (or my own hand-bound notebooks! ), the extra usefulness of having my notes on my laptop makes up for it. Regarding writing, I use Scrivener and I would never, ever write in anything else now. It might not be suitable for co-writing, but it’s awesome for collating large quantities of notes and exports to Word quite nicely. I really, really like this post. Thank you for sharing. I love your frank and pragmatic assessments — you’re definitely one of my fad-filters! I wondered if you use a GIS for storing geographic info — Arc GIS or QGIS, for example? 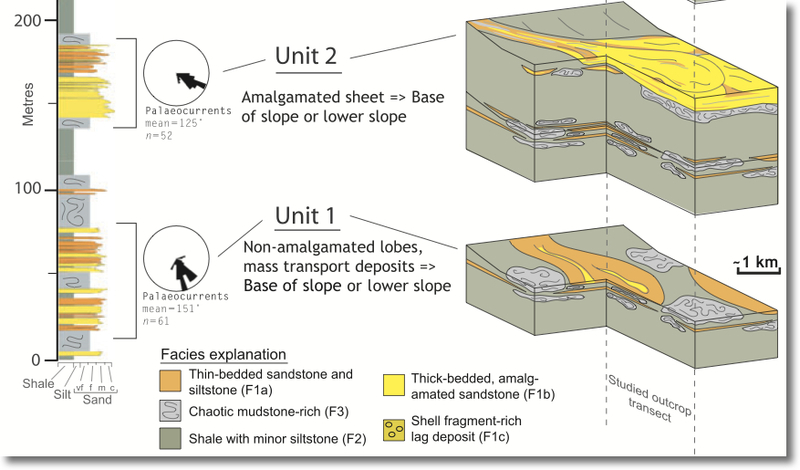 I never used one for field work, only subsurface stuff, but they’re an amazing place to put references to photos, logs, field sketches, etc, and of course make lovely maps. @Matt Herod … yes, making sure a to-do list is feasible is important; I have a white board in my office as well and it’s satisfying to strike out things as they happen. @Suw … I really like the idea of the ‘sprint’. For a while there was a #madwriting trend where people motivated each other to do 15-30 writing sprints. I tried Scrivener a couple years ago, but it didn’t take. I can totally see how it would be great for journalists and book authors, but didn’t quite fit into my workflow. @Matt Hall … I actually don’t have a single place for geospatial info. I store some things as placemarks in GoogleEarth, but that’s about it. I typically will make a map figure in Illustrator using various sources for the basemap (I like GeoMapApp a lot). But, this will change going forward and I’m going to have to get back into Arc again. I will check out QGIS, sounds interesting. Thanks for your post, it was very interesting. I second using ArcMap/QGIS/whatever. Whilst doing my MSc thesis I also used AI for creating maps, but in retrospect I wish I had compiled all spatial data (in my case seismic facies) into a geospatial database. Adding or editing data into AI maps was a huge pain, and, as I go back to my work with the intention of publishing, a massive waste of time. I will most likely have to redo most of my map based figures. It’s great to see you posting again. I’ve been a follower for a while, albeit quietly. I’m in my first semester as an assistant professor so I’m quickly learning which tools are worthwhile and which ones are useless. I, too, don’t go anywhere without a notebook. Your previous post on RSS Feeds was really useful, and I also keep track of feeds with Google Reader. A tool that has become one of my all-time favorites is an iPad app called ‘Newsify’. (Disclaimer: I am NOT a sales rep for this app.) It links to your Google Reader and presents your feeds in a newspaper-style format. So, when I find myself with a few minutes on my hands, I can open up my very own ‘Sedimentary Research’ newspaper and catch up on the latest abstracts. Each folder in your Google Reader becomes its own newspaper so if I feel like reading my ‘Mars is Rad’ newspaper or ‘Nature Rocks’ newspaper, I can. For me though, the handiest feature is being able to ‘star’ articles for later. If I read an abstract and want to download the paper, I star it and download the full paper when I’m back on campus with journal access. I’m sure there are other apps with similar functionality. This has been quite a time-saver for me and way more useful than reading whatever magazine is lying around at the oil change shop. I agree completely with Word – its track changes facility is simply too foolproof to ignore when dealing with collaborators (who are themselves not always as tech savvy as some might like). As far as graphing goes I quite often find myself using DPlot – it’s really very good at manipulating multidimensional data in a way I have great difficulty with using the usual excel / illustrator combo. I know I should pick up r or Matlab and do it ‘properly’ some time, but the tools I have so far have not necessitated it. I’ve just about got my rss/Mendeley system embedded in my head now (so I actually stick to it), using rss feeds to find the papers, downloading them to Mendeley, then using Mendeley to read, annotate and make notes. If I REALLY need to get things done, I disconnect from the internet and unplug my office phone (I don’t have a cell phone), and/or go somewhere people can’t find me. Last year during the winter mid-term break, I did a bunch of writing at the local nordic ski area where there was no phone or internet and I could use a couple laps of the trails as reward for getting work done. Reading and writing in front of a woodstove in the mountains was pretty idyllic (if a bit smoky). This is great. I’ve been trying to figure out some things about being productive. Can’t understand why when I have a writing project to do, I find myself cleaning out my sock drawer instead. ARrgggg. I will share more thoughts in the way of solutions later. Procrastinating from something else right now. Seriously. A great tool for microscopy work is a PixeLINK camera system. Mounts to your microscope and comes with software that allows you to measure grainsize, pore size or whatever you want in the picture, multiple measurements, quick and easy. Outputs all measurements made on image to a Excel spreadsheet where the measurements are in Angstroms. You can therefore do real, quick, quantative analysis of grainsize (poresize) distributions and statistics. Can attach to either binocular refected light scopes for core work or transmitted light scopes for thin section work. Software only works on Windows based system however.